The Flatliners reboot (reimagining? What should we go with?) starring two of my favourite Canadians — Ellen Page and Nina Dobrev — comes out next week. The cast will be hitting the promo trail soon and Internet listings say Ellen will be on Conan on Tuesday. Before all of this though, Ellen premiered two films at TIFF, The Cured, and My Days of Mercy. Lainey was supposed to interview Ellen at the premiere of The Cured but that got cancelled, and at the end of the week, I got a chance to interview her on the My Days of Mercy red carpet. We both love Ellen, and produced the interviews with her about a year ago for Into the Forest, where she wasn't only refreshing, open and reflective about her career and her choices... but she also renamed our beagles (Lainey's two, and my one) because that's a thing she did on the Internet once. My Days of Mercy is a decent movie. Ellen produced it and stars in it with her "bestie" Kate Mara. It was their first project together since Funny or Die's Tiny Detectives, which is SERIOUSLY THE BEST and endlessly rewatchable. When I spoke to them both, not only did I feel like I was a Tiny Detective (I told Kate Mara I was 5'3” with hair, she laughed and said she was 5'2” with hair, and I never interview people who I share an eyeline with. They're always looking down. Her heels were a tad higher than mine. ), but I could feel how much they wanted to work together on something special to them both. To them, My Days of Mercy is that project, or at least the start of what they can do together outside the Funny or Die vortex. On that level, it definitely works as a good showcase of their talent in front of and behind the camera. Ellen plays Lucy, a court rat and nomadic "activist" who travels across the country to protest various executions, visit prisons, or fight against the death penalty. She works odd jobs if she feels like it, but is devoted to the cause and her family. Kate is Mercy, who lives on the other side of the law as an attorney. You don't know much about them both, except that there's a spark there or at least a curiosity about the other person's motives or possibly, their personal life. Eventually, they start running into each other more and more, as they both fight for or fight to solve their respective cases. They fall for each other, but are both hiding a little something. It's thoughtful, interesting, and reminded me a lot of Ellen's work in the Lynn Shelton movie Touchy Feely, warm, weird, tense and dark, not unlike what you would expect from an indie movie. 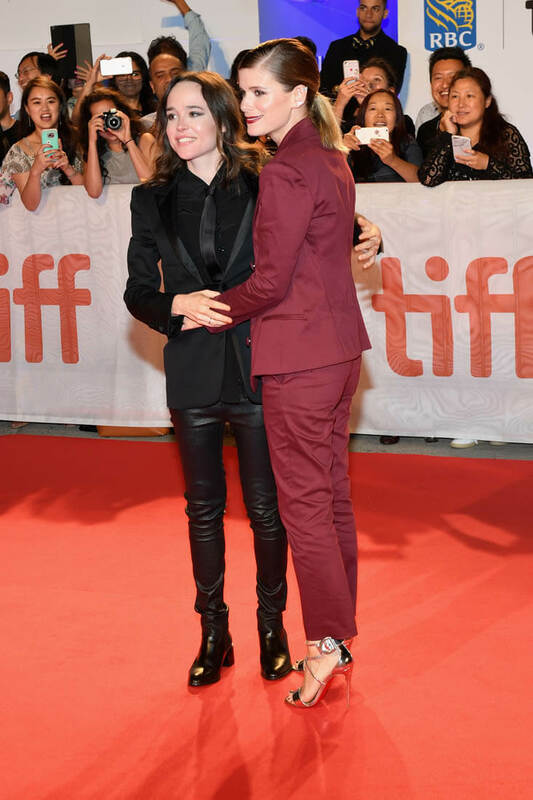 Sure, there are love scenes between Ellen and Kate, but unlike the love scene in the Rachel McAdams-Rachel Weisz-starring Disobedience, these aren't about freedom. These scenes are more about two people connecting, even if both are kind of maybe not being honest about who they are (one more than the other). Beyond that, its condensed 100-ish minute runtime and sly "last meal" transitions work in its favour. My Days of Mercy is directed by Tali Shalom-Ezer. She's an Israeli filmmaker who had a breakout moment with her film Princess (it's great, and was at Sundance in 2015. Shira Haas was SO GOOD in The Zookeeper's Wife, too), and she got a special thanks credit on The Babadook. Still, you can feel her voice throughout this movie. I'm not sure on the genesis of her involvement, and whether producer/stars Ellen and Kate reached out to her or not to be a part of this English-language project, but it would not surprise me if they were the ones who helped connect the dots. My Days of Mercy is the first project Kate has officially produced. She's been on a roll lately with her risktaking, and I am very here for it. I saw Chappaquiddick at TIFF and loved her take on "Mary Jo" Kopechne as an ambitious, driven career woman. The movie's wicked too. While promoting Megan Leavey (which is a solid rental), she talked about how she brought Blackfish director Gabriela Cowperthwaite on board to direct that movie in her narrative feature debut. The movie was a modest hit, and is 84 per cent fresh on Rotten Tomatoes. Now she has this, and she, along with her "bestie," may have helped nurture another female director's talent. And she's a newlywed, and her husband's movie Film Stars Don't Die in Liverpool could be a smash hit. Anyway. Cameron Bailey, TIFF's artistic director, shares at least part of my fondness for Ellen and Kate's work, or about this movie. 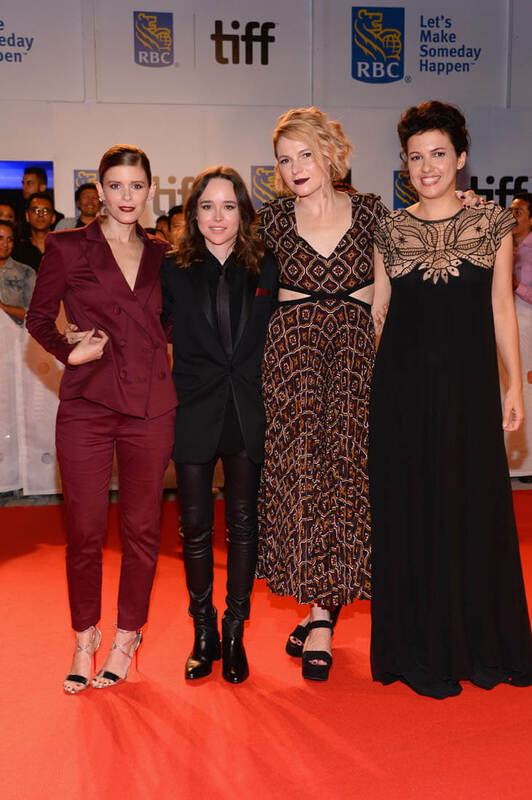 When he introduced the film at its world premiere, he called it a "miracle of independent filmmaking" because of its female-led story, female producing team, and female director. I agree. It's a movie that may sound small, but never seems small. This is what TIFF is nurturing with their Share Her Journey program. And it's working - because this movie works, which proves that Ellen and Kate definitely have the right professional instincts. Now the movie just needs to sell. Attached - all of the amazing photos from the My Days of Mercy love fest last weekend. PS: Yes, OBVIOUSLY I asked which "Tiny Detective" was taller. They both gave great answers, sheepishly admitting that it’s Kate.